Best Western Scotland's Hotel is situated in the centre of beautiful Pitlochry, in the heart of Highland Scotland. The hotel has two restaurants serving Scottish and Italian cuisine (Easter-October) and leisure facilities including an indoor pool, spa bath, sauna, solarium and mini-gym. Bedrooms are located within the main building, the adjacent Bank House or Dunevis which is across the road from the hotel. 40 Bonnethill Road, Pitlochry PH16 5BT, Scotland. Best Western Scotland. Pitlochry Hydro Hotel. Knockard Road, Pitlochry, Scotland. Pitlochry Hydro Hotel hotel is just ten minutes walk from the town centre.. Find the best deal, compare prices and read what other travelers have to say at TripAdvisor. Fishers Hotel stands in the centre of this Victorian Town and is a reminder of the Grand Old Days. All the public areas have just been refurbished to a high standard and provide wonderful lounges with open fires, exclusive cocktail lounge, Courtyard restaurant and also a lively public bar and bistro. The hotel has 2 acres of award winning gardens in which to relax. Ideally situated for touring the best of Perthshire the hotel has limited car park spaces and is very convenient for the railway station and the main citylink coach stops. 75-79 Atholl Road, Pitlochry PH16 5BN, Scotland. Find the best deal, compare prices and read what other travelers have to say at TripAdvisor. East Haugh House Hotel, is a beautiful 17th century turreted stone house. East Haugh, Pitlochry PH16 5JS, Scotland. Find the best deal, compare prices and read what other travelers have to say at TripAdvisor. Westlands Hotel. 160 Atholl Road, Pitlochry PH16 5AR, Scotland. Find the best deal, compare prices and read what other travelers have to say at TripAdvisor. Green Park Hotel. Attractive Country Hotel in beautifully landscaped grounds overlooking Loch Faskally. Clunie Bridge Road, Pitlochry PH16 5JY, Scotland. Find the best deal, compare prices and read what other travelers have to say at TripAdvisor. Atholl Villa Hotel. 29 Atholl Road, Pitlochry PH16 5BX, Scotland. Find the best deal, compare prices and read what other travelers have to say at TripAdvisor. Cuil-an-Daraich Guest House. Logierait, Pitlochry PH9 0LH, Scotland. Find the best deal, compare prices and read what other travelers have to say at TripAdvisor. Dundarach Hotel. Traditional Hotel housed in a former wine merchants house dating from 1863. Perth Road, Pitlochry PH16 5DJ, Scotland. Find the best deal, compare prices and read what other travelers have to say at TripAdvisor. Hotel Acarsaid Pitlochry. 8 Atholl Rd, Pitlochry PH16 5BX, Scotland. Find the best deal, compare prices and read what other travelers have to say at TripAdvisor. Donavourd House Hotel, Donavourd, Pitlochry PH16 5JS, Scotland. Find the best deal, compare prices and read what other travelers have to say at TripAdvisor. Tigh Na Cloich Hotel. (The House of the Sentinel Stone). This lovely Victorian House is a former historic lookout point and offers some of the most stunning views in Pitlochry.Our small personnaly run hotel offers the best of Scottish hospitality, along with outstanding cuisine and a superior level of service. The perfect setting for a relaxing holiday or short break in Pitlochry Perthshire and to tour the Highlands of Scotland. Find the best deal, compare prices and read what other travelers have to say at TripAdvisor. Moulin Hotel. Moulin, Pitlochry, Scotland. Find the best deal, compare prices and read what other travelers have to say at TripAdvisor. Birchwood Hotel. 1875 Victorian townhouse; superbly set in 2 acres of natural woodland and garden with generous sweep of lawn; easy walk to town centre. 2 East Moulin Road, Pitlochry PH16 5DW, Scotland. Find the best deal, compare prices and read what other travelers have to say at TripAdvisor. The Poplars Hotel. 27 Lower Oakfield, Pitlochry PH16 5DS, Scotland. Find the best deal, compare prices and read what other travelers have to say at TripAdvisor. Burnside Apartment Hotel. 19 West Moulin Road, Pitlochry PH16 5EA, Scotland. Find the best deal, compare prices and read what other travelers have to say at TripAdvisor. Wellwood House Hotel. Set in two acres of secluded gardens complete with reed bordered stream and just a five minute stroll from Pitlochry Town Centre. West Moulin Road, Pitlochry PH16 5EA, Scotland. Find the best deal, compare prices and read what other travelers have to say at TripAdvisor. Atholl Palace Hotel. 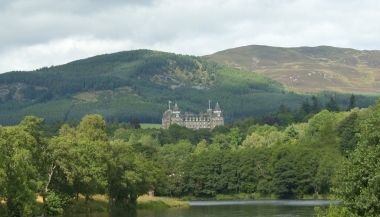 The baronial style Atholl Palace Hotel sits within 48 acres of parkland overlooking Pitlochry and the scenic splendour of the surrounding Highlands and is ideally located for touring Scotland. There are 105 well equipped bedrooms including two Turret Suites and elegant, spacious lounges where afternoon tea is served amidst log fires and twinkling chandeliers. Other features include a bar, the Veranda Restaurant which serves local produce and complimentary parking. Leisure facilities include tennis courts and indoor leisure club. Find the best deal, compare prices and read what other travelers have to say at TripAdvisor. Killiecrankie Hotel. Old Dower house converted to hotel in 1939; in one of most stunning areas of Scotland with beautiful mountains, rivers and lochs. Pass Of Killiecrankie, Pitlochry PH16 5LG, Scotland. Find the best deal, compare prices and read what other travelers have to say at TripAdvisor. Rosemount Hotel. 12, Higher Oakfield, Pitlochry PH16 5HT, Scotland. Find the best deal, compare prices and read what other travelers have to say at TripAdvisor. Craigvrack Hotel. West Moulin Road, Pitlochry PH16 5EQ, Scotland. Find the best deal, compare prices and read what other travelers have to say at TripAdvisor. Pine Trees Hotel. Charming country house on 10 acres of gardens; small and select, combining luxurious accommodation with individual service. Strathview Terrace, Pitlochry PH16 5QR, Scotland. Find the best deal, compare prices and read what other travelers have to say at TripAdvisor.